Om nom nom! 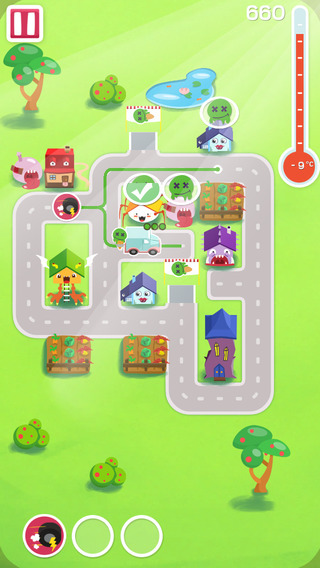 In Ice Cream Nomsters you’ll have to deliver as much ice cream to as many monster houses as you can before time runs out! 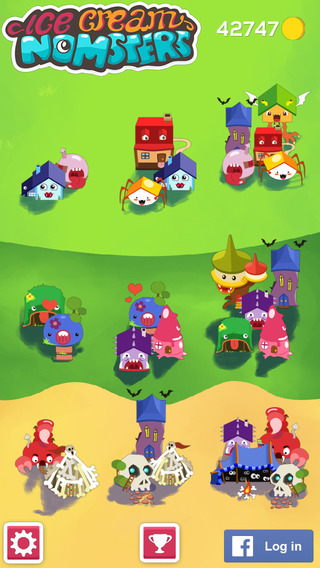 Try to keep up with the unusual growing craving for ice cream of these cute monster houses. 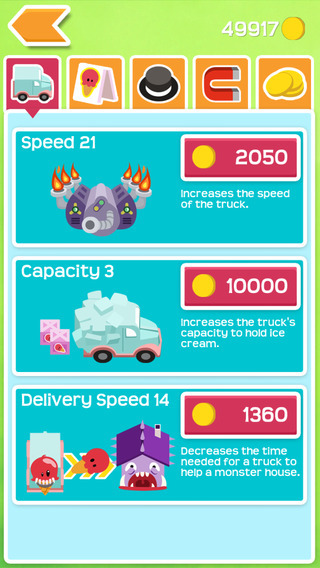 Make your truck spit fire and be as quick as a race car, carry more ice cream and enjoy many other other features by upgrading your truck to keep up with the demand. 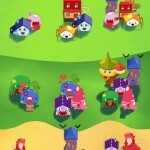 – Teleporters! 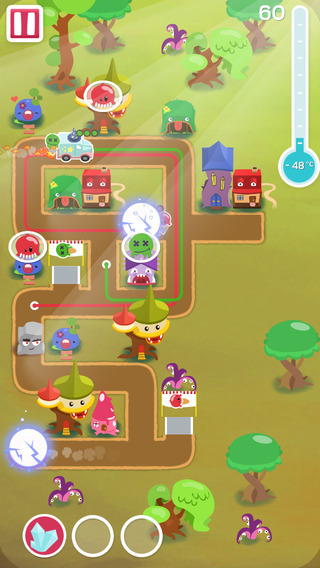 Everybody loves teleporters, right? 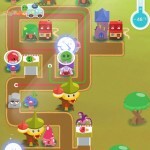 – Very fun and easy to learn gameplay with intuitive controls. 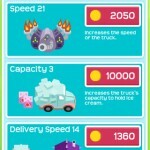 – Upgrade your truck to keep up with the ridiculous ice cream demand. 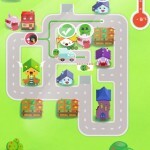 – Puzzle elements like one-way streets and blockades, forcing you to rethink your route. – Cool skins to pimp your truck to make them look amazing! 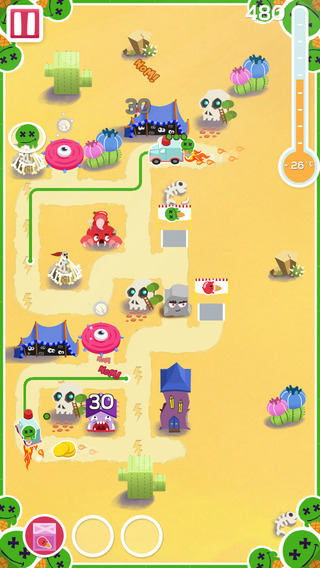 – High polished graphics and fun animations. 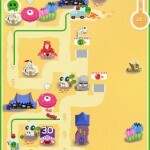 – Keep track of the amount of ice cream your Facebook friends have delivered and try to beat them!